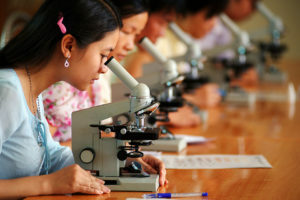 •11 February is celebrated as International Day of Women and Girls in Science to recognize the critical role women and girls play in science and technology. In December 2015, the United Nations adopted a resolution to celebrate February 11 as the International Day of Women and Girls in Science. •2016 is the first time it was celebrated. The idea behind this day is to ensure equal participation and involvement of women and girls in the fields of Science, Technology, Engineering and Mathematics (STEM). •Prime Minister Narendra Modi launched a dedicated 24×7 Satellite channel, ‘DD Arunprabha’ for Arunachal Pradesh during his visit to Arunachal Pradesh, Assam, and Tripura. 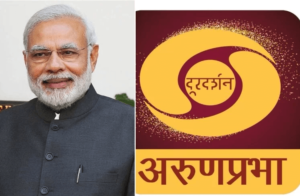 •DD Arunprabha is the Doordarshan’s second channel for the northeastern region; DD Northeast was the first one. The channel will familiarise people across India with the beauty and the culture of the State. •The Ministry of Environment, Forests and Climate Change signed a Letter of Intent establishing the India-Norway Marine Pollution Initiative together with the Norwegian Ministry of Foreign Affairs. 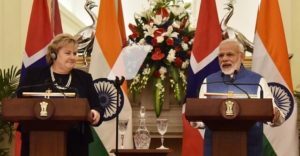 •Earlier, the Indian and Norwegian governments agreed to work more closely on oceans by signing a MoU and establishing the India-Norway Ocean Dialogue during the Norwegian Prime Minister’s visit to India in January. Both the governments launched the first Joint initiative under this new partnership. 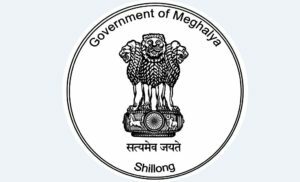 •The Meghalaya Cabinet has decided to rename the Dikkibandi stadium in Tura town after former Lok Sabha Speaker Purno A Sangma. The state Cabinet meeting presided over by Chief Minister Conrad K Sangma approved the recommendations received from the state naming authority tasked with the job to name roads, and institutions after personalities. The Dikkibandi Stadium was formerly known as MP stadium. Purno A Sangma is also a former chief minister of Meghalaya. 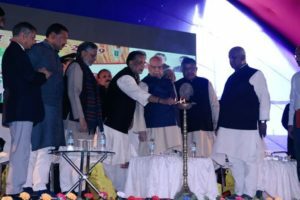 •In Bihar, Governor Lalji Tandon and Union Agriculture Minister Radha Mohan Singh jointly inaugurated the three-day Krishi Kumbh in Motihari. Over fifteen thousand farmers from different states and about two hundred agricultural scientists are participating in the Kumbh. •The objective of Krishi Kumbh is to promote modern techniques and diversification in agriculture that could help in doubling farmers income. The government is creating strong infrastructure from “Beej to Bazar” for enhancing the income of farmers. 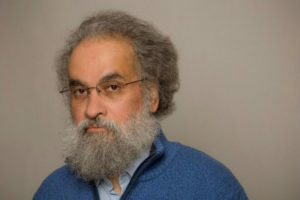 •Indian historian Sanjay Subrahmanyam won the prestigious Dan David Prize 2019for his work on inter-cultural encounters between Asians, Europeans and people of North and South America during the early modern era. •He won Israel’s prestigious USD 1 million dollar award in the category of ”Past Time Dimension” for his work in macro-history. Once presented with the award money, Subrahmanyam will donate 10% of the prize money towards scholarships for graduate or post-graduate researchers. 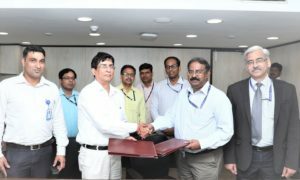 •State-owned power giant NTPC has announced that it has signed a term loan agreement for Rs 5,000 crore with State Bank of India. The loan facility is extended at an interest rate linked to 3-Month MCLR of the Bank. This loan has a door to door tenure of 15 years and will be utilised to part finance the capital expenditure of NTPC. 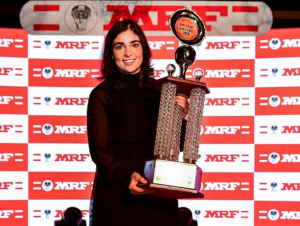 •Jamie Chadwick from England made history by becoming the first female driver to win the MRF challenge title after scoring a triple win in the final round in Chennai. The 20-year-old became the first woman to win the coveted prize after an incredible performance. •In August, Chadwick became the first woman to win a British F3 race. She achieved sixvictories in the 15 race championship and came back from a large deficit to win in style at the final event.